There are books that pedal and tell stories that travel back and forth in time, as we like… This is one among that book, edited by our friend the Italian Touring Club. If you have not yet associated with it, just do it because it is also worth the … book! “Ah cyclists! What privileges this vehicle give us! What we see riding our bicycle couldn’t be ever seen from the railway! The bicycle runs silently and docile, fast or slow, it’s up to us… Bicycle means freedom, and how big is our field of exploration!” Luigi Vittorio Bertarelli is the author of this sentence: in spite of the historical period in which it’s heve been written, it brings back a portrait of the bicycle that goes beyond his impassioned love declaration for the bike and becomes a vision of the future. 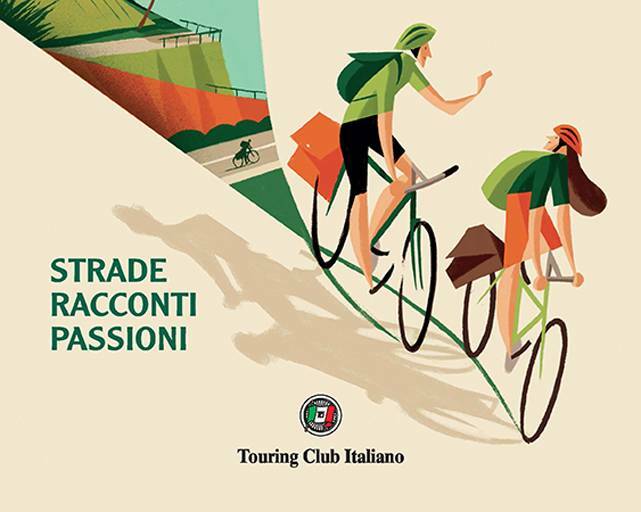 FROM BERTARELLI TO NOWADAYS, TOURING CLUB AND BICYCLE – Following one among the 57th Italian Cycling Touring Club (this is the very first denomination) founders and his brave ideas, we present the new book dedicated to the members of the oldest Italian cycling tourist association. Even though the Touring Club abandoned its first cycling declination, it has always preserved an exited spirit that with his guides, his magazines and his travels has accompanied the Italians to discover the country and the rest of the world. The book – which is a tribute reserved exclusively for those who join the Touring from October 2018 to September 2019 – is simply titled “Bicycle”, because the heart of the story is an object that finds its renewing drive in simplicity. With two wheels, two pedals, a saddle and a handlebar, today as the day of its brilliant invention, the bicycle puts the man at the centre and helps him to know and rethink the world.